A few months ago I was in Dallas and I ate at a hole-in-the-wall Vietnamese restaurant that was amazing. They specialized in clay pots, or one pot meals cooked in a clay pot with a lid. I had an amazing clay pot with glass noodles and it prompted me to go out and buy some clay pots and start experimenting. I found some clay pots at World Market and when I got them home and started researching recipes, I realized that they are often used on the stovetop (I assumed they meant exclusively for the oven). Unfortunately, I don’t have a gas range, so I wasn’t even sure that I would be able to use them. 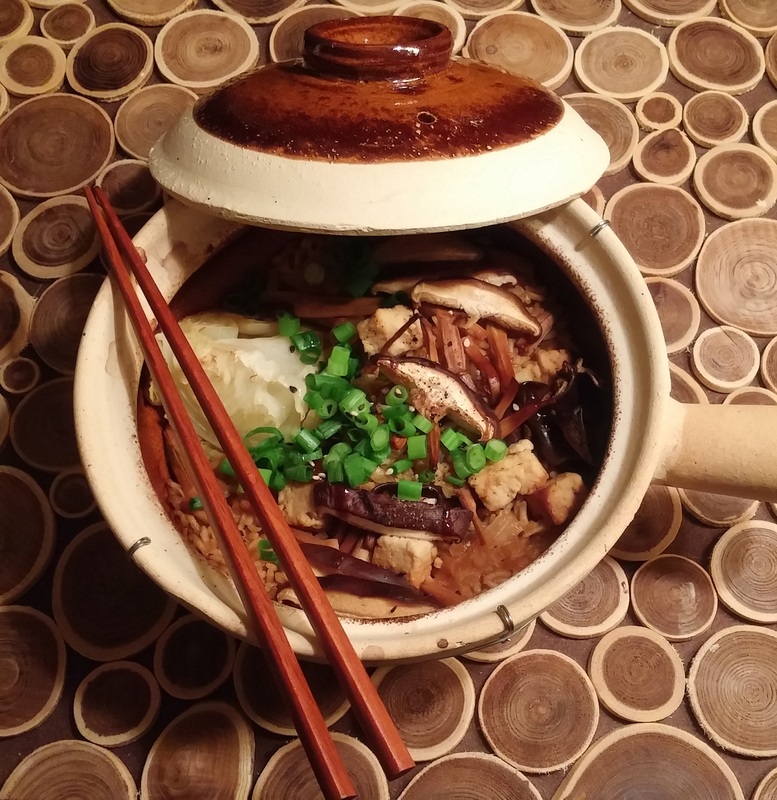 However, after some research and experimentation, I have come up with clay pot recipe that is cooked entirely in the oven.